I read this article and found it very interesting, thought it might be something for you. The article is called Cracked Teeth and is located at https://www.dencaresmilecenter.com/endodontics/cracked-teeth/. How can I identify a Cracked Tooth? Tooth pain will be the main indicator of a cracked tooth. The pain will be erratic and acute in nature, and can sometimes noticeably vary along with the pressure of your bite. Another big clue is if you experience severe pain when a tooth is exposed to extreme heat or cold. A tooth depends on the extremely hard outer surface, known as the enamel, to protect the delicate and sensitive pulp inside from damage and disease. When a tooth is cracked, not only can germs make their way inside the tooth itself, but pieces of the tooth and the pulp inside may begin to become irritated as they are exposed to movements and additional stimuli they were not intended to be subjected to. 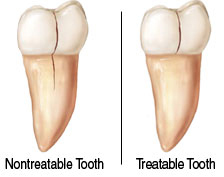 Treatment options will depend largely on what type of damage the tooth has suffered and how severe the damage is. Simple craze lines can be thought of as analogous to minor stress fractures and may not require immediate treatment. A fractured cusp can often be easily covered with a crown. 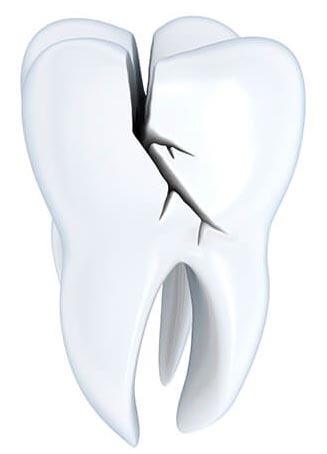 A larger crack may require a root canal to treat, if the crack extends into the dental pulp. Once a crack passes the gum line it must be extracted and cannot successfully be treated, even with advanced endodontic procedures. Split teeth often require the sacrifice of one of the two major portions of the tooth to save the other. 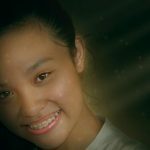 Unlike a broken bone, a crack in your tooth will never truly heal. Even after treatment, it is possible that a crack can sometimes continue to become progressively worse, and may eventually require extraction. Full endodontic treatment followed by the placement of a crown or filling provides maximum protection, but not a guarantee of long term success. Endodontic treatment can provide pain relief to those who suffer from cracked teeth. 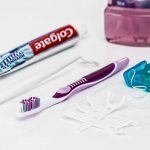 While treatment cannot prevent the loss of damaged teeth in all cases, it is definitely worth investigating whether endodontic treatment for a cracked tooth makes sense for your particular circumstances. Be sure to discuss the possible treatment options with your Den-Care Smile Center dentist.